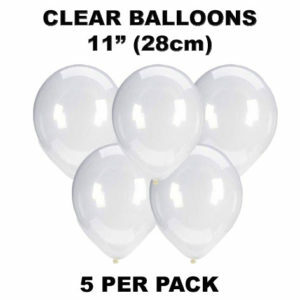 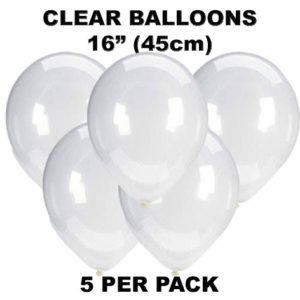 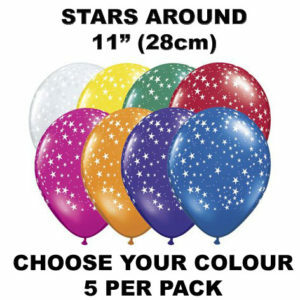 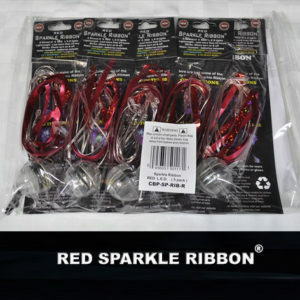 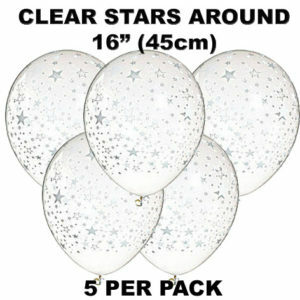 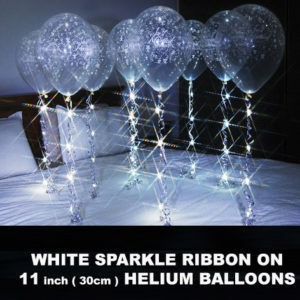 Sparkle Ribbon® is a Strand of 6 bright L.E.D lights on very thin wire, it is light enough to float on 45cm helium balloons and you can create beautiful Sparkle Walkers on 28cm helium balloons. 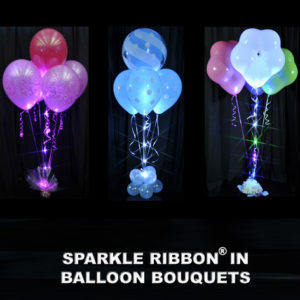 Added to balloon bouquets the effect is stunning. 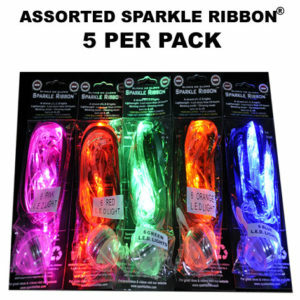 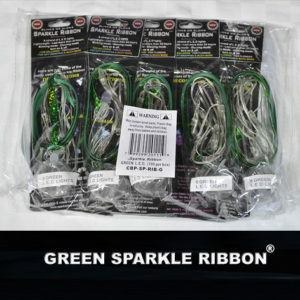 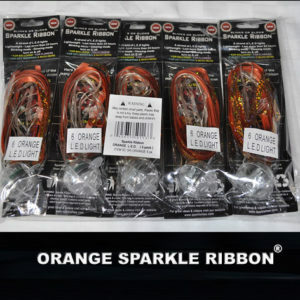 Sparkle Ribbon® comes in 6 colours – White – Pink – Blue – Green – Orange – Red & a beautiful multicolour light strand. 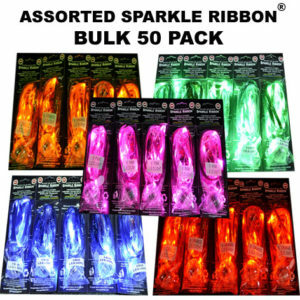 We could write all day about how stunning Sparkle Ribbon® really is, but we prefer to show you instead. 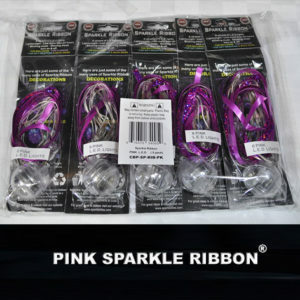 View the Videos and the Photo Gallery of Sparkle Ribbon® in use in real world environments, added to flowers, balloons, chairs, or centrepieces of any kind, Sparkle Ribbon® is elegant and beautiful and at less than $5 per strand, sold in a pack of 5, batteries included, it’s incredible value. 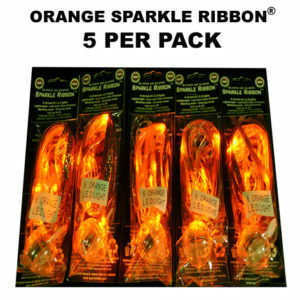 For Wholesale pricing or special pricing for Schools & Charities – see the Wholesale page in the top navigation menu. 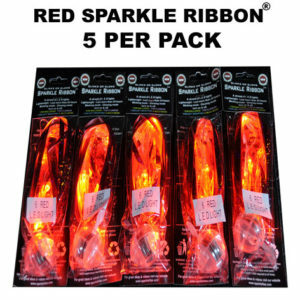 Sparkle Ribbon® includes batteries which are included and replaceable. 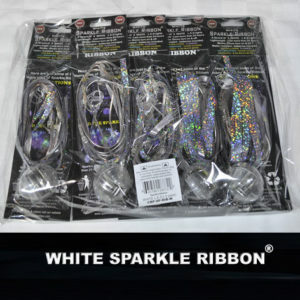 Sparkle Ribbon is 35 inches ( 90cm ) long. 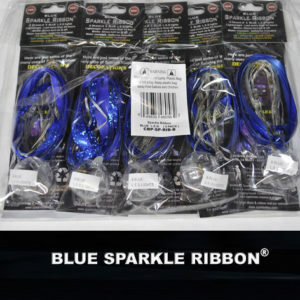 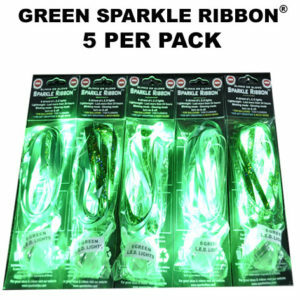 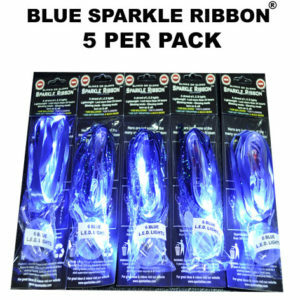 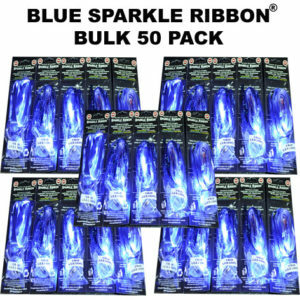 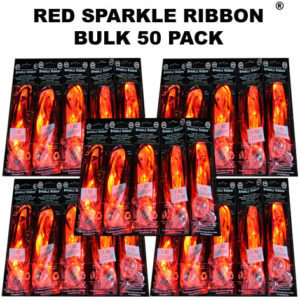 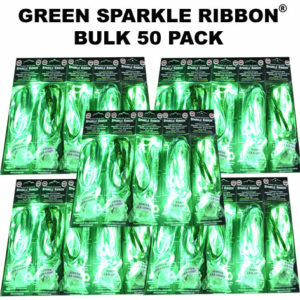 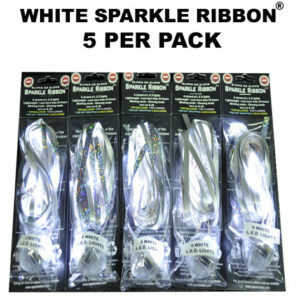 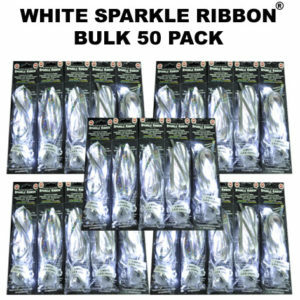 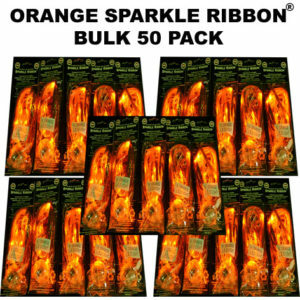 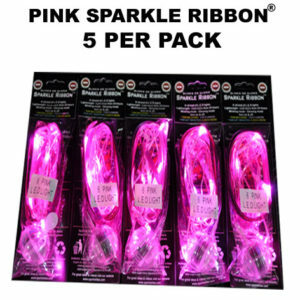 Save Money by buying in Bulk – see below for Bulk Sparkle Ribbon® – 50 per pack.